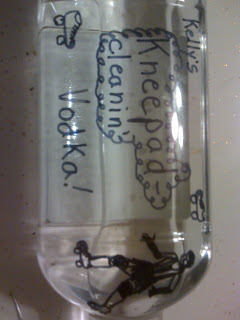 The vodka-as-skate-pad cleaner seems to be working pretty well. My $1 spray bottle leaks, so I duct taped around it. It's looks pretty ghetto, but I'm calling it "derby." When I go to put my pads on, they smell better than with dried Febreeze, but not great. I do kind of expect them to smell a little bad. After my last practice on Wednesday, I sprayed my mouth guard to disinfect it as well. I'm anxious to see if it tastes like cheap vodka next time! But I'm having a tattoo touched up tonight and a wisdom tooth pulled in the morning, so sadly I'll be out of practice for almost a week anyway. 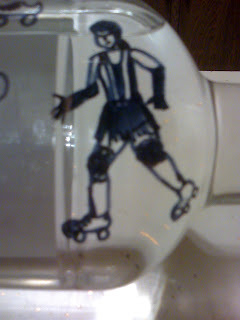 DeVee doodled on my vodka bottle last weekend for me. "It's for roller derby, officer, I swear!" 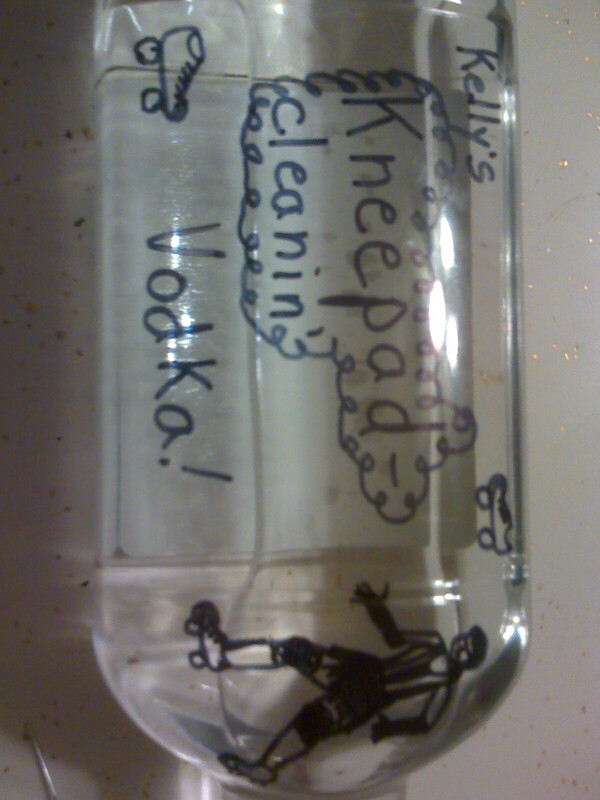 The spray bottle goes in my bag and the vodka bottle actually stays at home, but I love it! That is pretty ingenious if I do say myself.